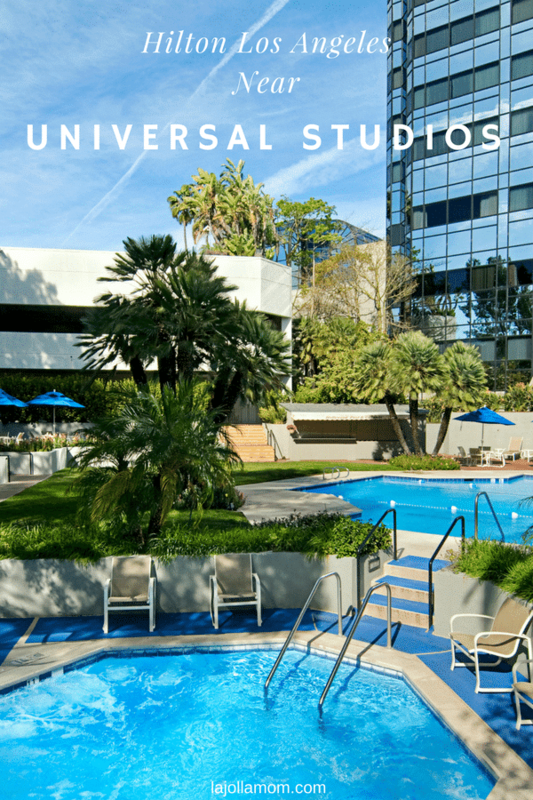 If in search for hotels near Universal Studios Hollywood, take a look at Hilton Los Angeles/Universal City, a block away from the theme park entrance. 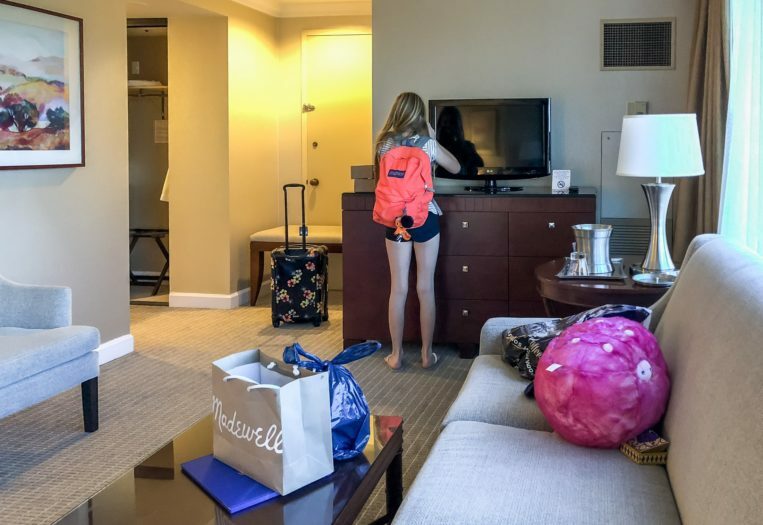 My daughter and I checked in recently and were pleased, despite a few hiccups. 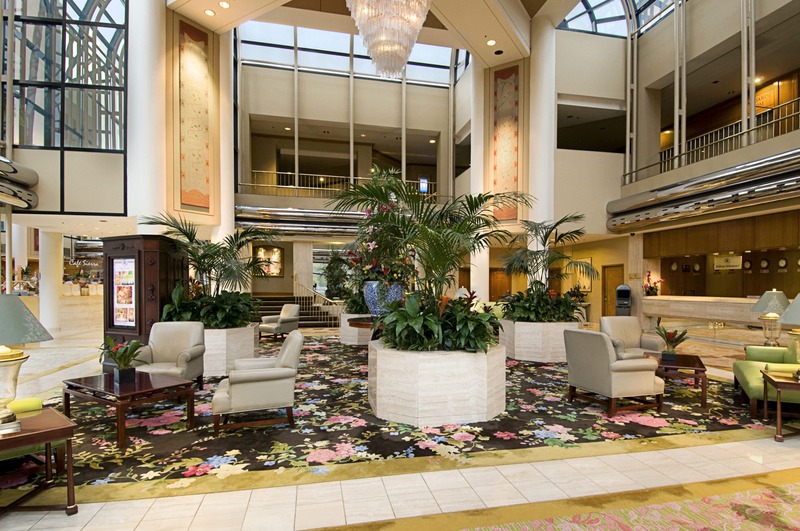 I debated between Hilton Universal City and the Sheraton Universal next door. 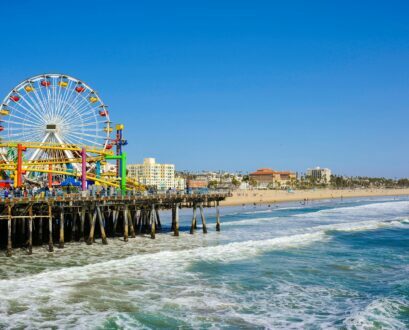 I ultimately chose this one as it’s ever-so-slightly closer of a walk to the famous Los Angeles theme park. I would stay here again if I wanted a hotel within walking distance of Universal Studios Hollywood or if I thought staying at a different Los Angeles hotel would get us caught in too much traffic. 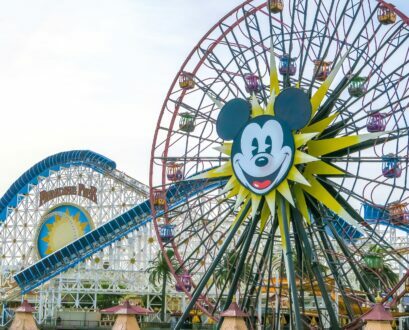 It’s perfect for families who need to be close to the theme park, especially with little ones who need naps and to break from a full day of fun. 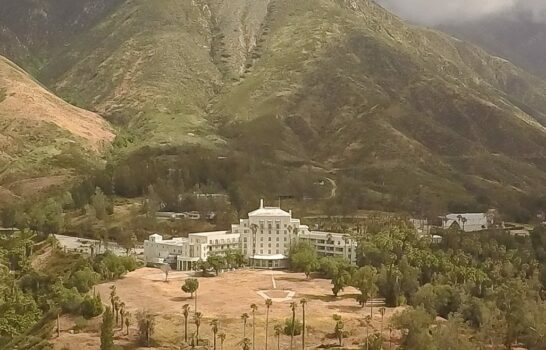 The best way to book this hotel is usually with a Hilton Honors discount. As a Hilton Honors Gold member, I checked into the hotel via the app. After a long day at the park, I was ready to put my feet up by the time we arrived at the hotel around 4:00 p.m. Our room wasn’t ready and I’d be lying if I didn’t mention that I wasn’t happy. We decided to sit in the Atrium Lounge and order a satay appetizer and a drink which were both perfectly fine. 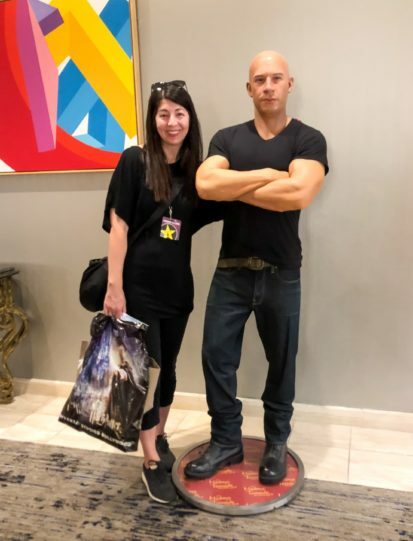 Vin Diesel was also in the lobby (a wax figure), one of the ways the hotel ties in its location steps from Universal Studios Hollywood. With regular check-in time at 4 p.m., I thought it would be a matter of minutes before I received a text that our room was ready. After about an hour we paid the bill. I walked up to the front desk and asked them to find us a different room, which they did. They upgraded our breakfast (only continental breakfast is complimentary with my status) and put us in an available upgraded room. Problem solved, and I’m okay with it in hindsight. 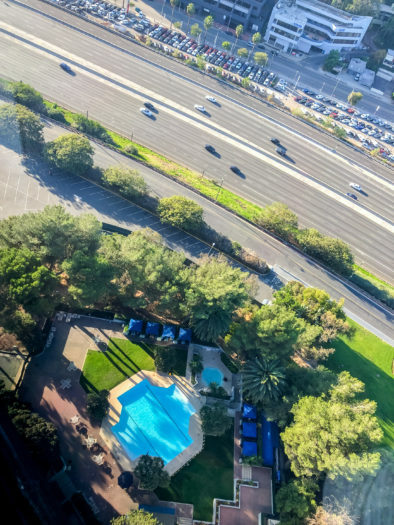 We were in a King Corner room as there was a sofa bed with a view of the pool, foothills, and freeway. I’m a fan of the king bed with sofa beds for families of up to four. I personally find a queen-sized bed a bit small with my 6’6″ husband. I didn’t have a chance to take a photo of the bed portion room before all of our stuff took over, but they generally look like this. The beds were very comfortable actually, and despite being near the freeway, we couldn’t hear it nor did we hear our neighbors. I would say the rooms are very well insulated and of a generous size, which is nice. The bathroom was also of a generous size. 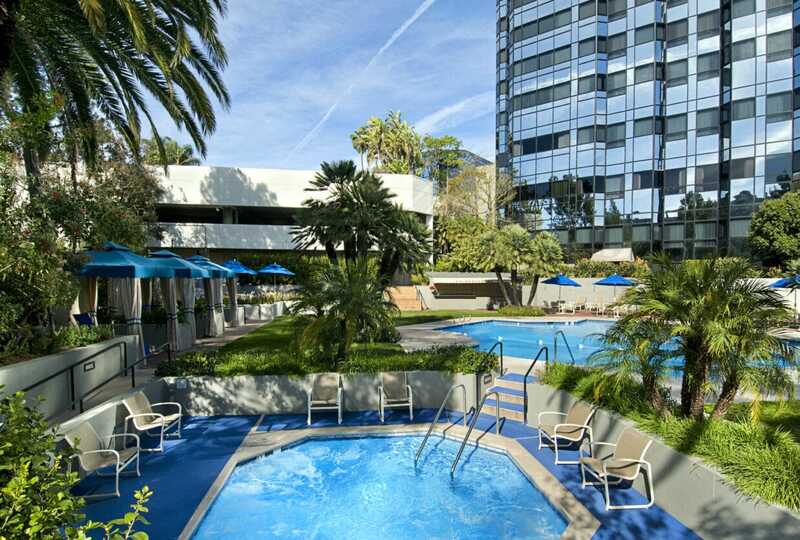 Hilton Universal City does offer connecting rooms and they will guarantee them for an extra $35/night plus tax. Another option for families of six is the double queen suite which has a sofa sleeper in the living room. Note that rollaway beds are permitted in king rooms only. The fee for a rollaway bed is $35/night plus tax. With a rollaway bed, the king rooms with sofa beds can sleep five people though it will be tight with all beds in use. Both the Hilton and Sheraton share a shuttle to Universal Studios Hollywood and Universal CityWalk. You can walk, too, but after a long day at a theme park, a ride can be most welcome. Starving and a little out-of-sorts, we decided to eat dinner off-property. It took maybe five minutes from Hilton Universal City to reach Universal CityWalk, now quite a fun entertainment area with the chain restaurants one might expect with some unique ones sprinkled in. 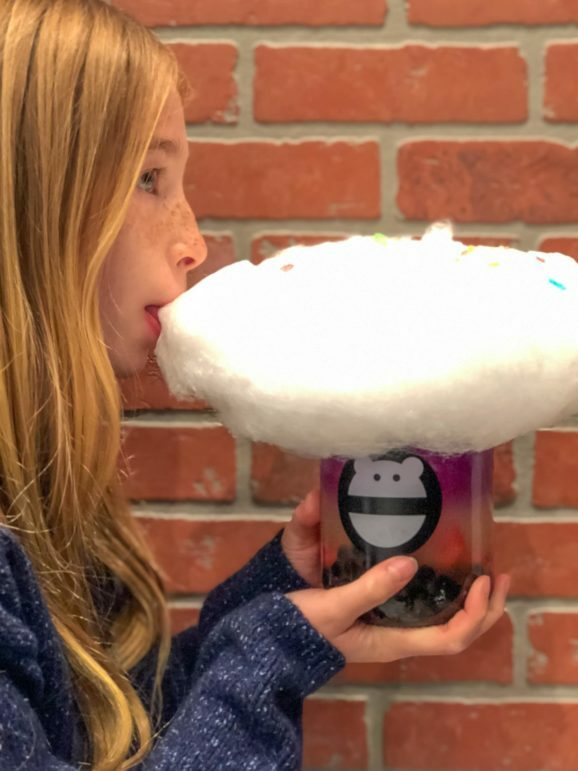 Craving Chongqing chicken, we chose Dongpo Kitchen and then finished with a dessert I’d seen on Instagram, boba topped with cotton candy at Mini Monster. 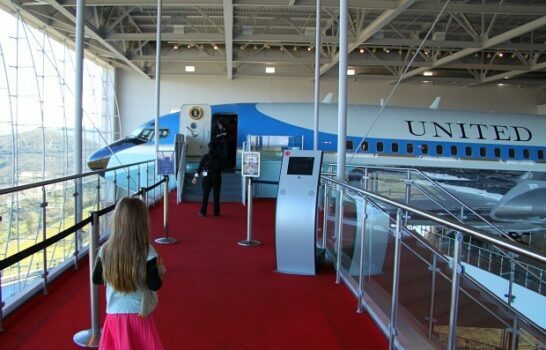 Sure, it’s touristy, but we had a great time. I do believe that access to CityWalk is a perk of staying at a hotel near Universal Studios Hollywood. 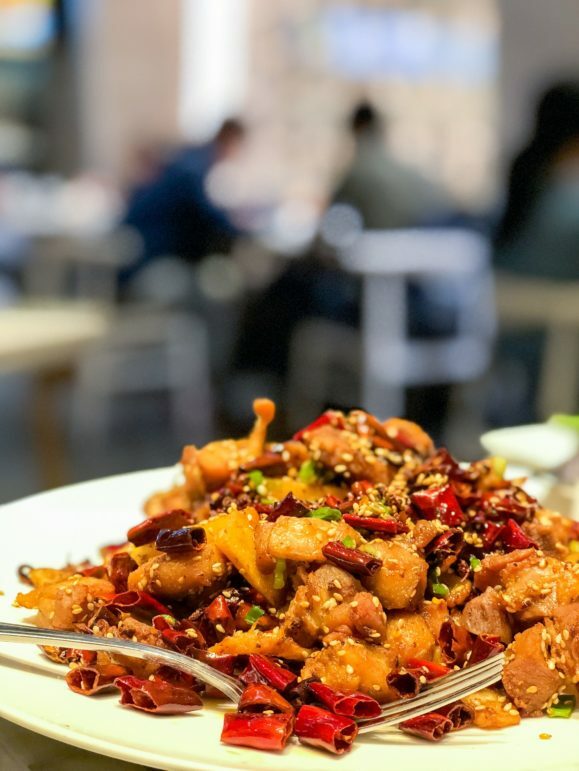 With all of the dining option in Los Angeles, I’m not sure I would have visited CityWalk otherwise, and like Downtown Disney, it’s part of the overall park experience. Buffet breakfast happens at the signature restaurant, Cafe Sierra. It is a sizable, perfectly fine buffet with dim sum, fruit, eggs, cereal, various hot items and more. Outside of breakfast, it’s known for weekend seafood buffets and for offering a mix of Chinese and Western cuisines. Down the hall, the Coffee Corner coffee shop offers Peet’s Coffee, pastries, sandwiches and grab-and-go snacks. The pool also has food and drink service. 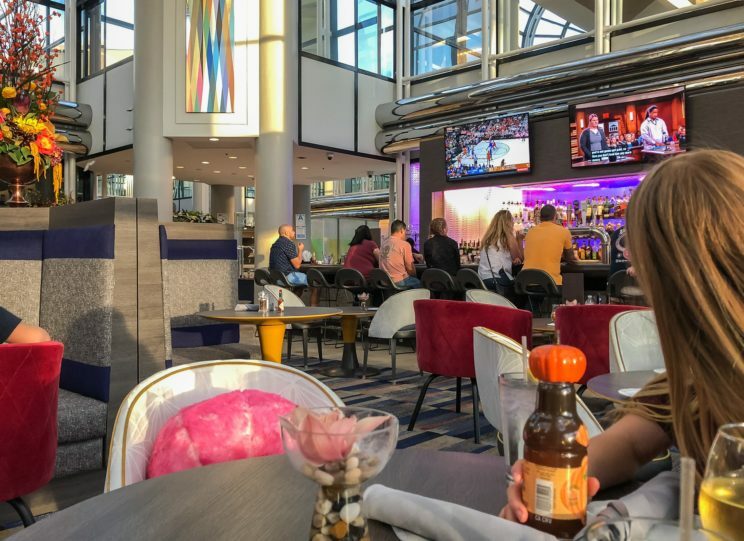 The Atrium Lounge with its televisions and offerings is a nice place to unwind with a glass of wine. Our satay was just okay. 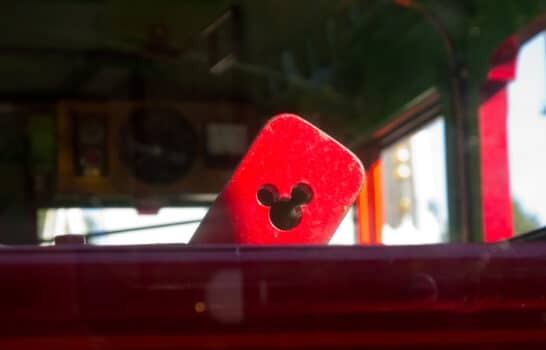 Again, the perks of staying at a hotel near Universal Studios Hollywood include not sitting in LA traffic while trying to cross town, being close to the park with small kids in tow who might need a break or to nap, and easy access to shops and restaurants of CityWalk. You’re also right next to the 101 freeway, a major transportation artery, should you want to also visit Disneyland or Knott’s Berry Farm. To sum it up, it’s a midrange corporate hotel with good amenities. 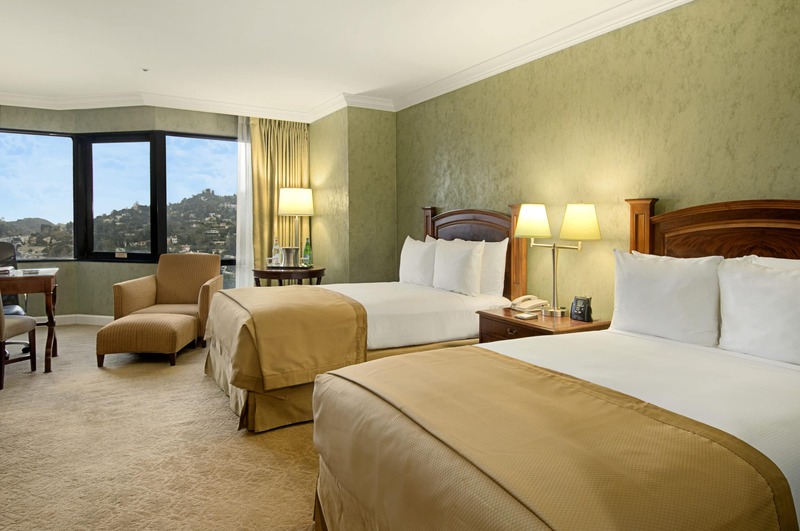 There are no five-star hotels near Universal Studios Hollywood, so if you need to stay near the park, it’s a good, comfortable choice though it won’t knock the socks off of luxury travelers. At the time of this writing, self-parking is $28. 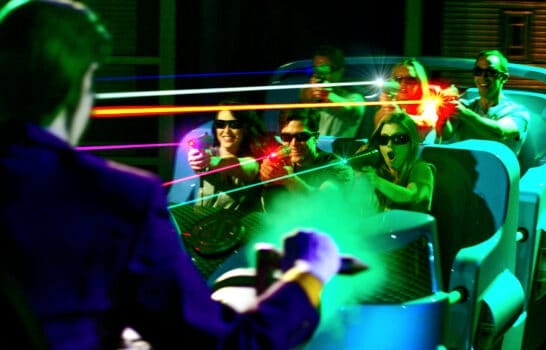 However, if driving to Universal Studios Hollywood, you’ll pay $25 to park in one of their lots anyway ($10 if arriving after 6:00 p.m.). Guests without cars can rent them through the hotel via Enterprise Rent-A-Car. As someone who books hotels for others and is a Hilton Honors Gold member, I can tell you that the best way is usually directly through Hilton with the Hilton Honors discount. 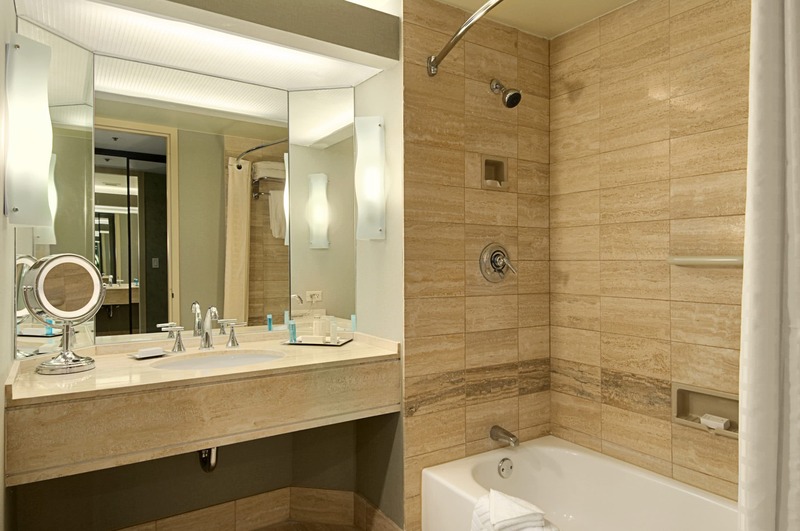 Joining Hilton Honors is free and it also allows you to track your reservation easier.